T-Mobile will begin its rollout of phones based on Mozilla’s Firefox OS when it puts the Alcatel One Touch on sale in Poland next week. The launch in eastern Europe will come just two weeks after the new smartphone OS made its global debut with Telefonia in Spain. The OS is based around Internet technologies and particularly HTML5. Applications for the phone are written in Web languages—a departure from the current practice where apps are typically written and compiled for each smartphone platform. Mozilla is promoting the openness of Firefox OS as a better alternative to systems like Android or Nokia’s Asha for low-end smartphones. T-Mobile will launch the Alcatel One Touch in Poland Monday starting at 1 zloty (US$0.30), the company said. It didn’t provide any tariff details. In Spain, Telefonica put another Firefox handset, the ZTE Open, on sale July 2 for €69 (US$90) with a prepaid subscription. Both carriers are planning wider availability of the phones as the year progresses. T-Mobile said it plans to have Firefox OS phones on sale in Germany, Hungary and Greece by the end of the year. Underlining its low-end focus, in Germany the phone will be sold under T-Mobile’s no-frills Congstar brand. 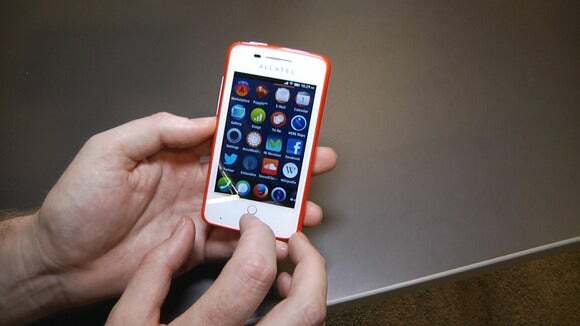 Spain’s Telefonica has plans to launch Firefox OS handsets in several South American markets within 2013. Beyond the two launch carriers, Mozilla has already signed up at least 15 other mobile network operators to put Firefox OS handsets on sale. They include América Móvil, China Unicom, Etisalat, Hutchison Three Group, KDDI, KT, MegaFon, Qtel, SingTel, Smart, Sprint, Telecom Italia Group, Telenor, TMN and VimpelCom. These additional carriers are yet to announce firm launch plans for Firefox phones. The platform has also attracted support in the supply chain with Foxconn, the world’s largest contract electronics manufacturer, planning a series of Firefox OS-based devices. It is hiring a team of several thousand software engineers to work on the platform and support customers, it said recently. With phones now getting into the hands of consumers, Mozilla is starting to eye its first tablet PC based on the platform, a Mozilla executive said last week when speaking in San Francisco. Mozilla is “moving aggressively and you’ll see things soon,” CTO Brendan Eich said when asked about a tablet.